The ministry of the CRC shall launch out into a large Gospel mission field to be the witness of the kingdom of heaven both from the east to West and from the North to South. And even unto many varied nations, thus says the spirit of the Lord… because the word of God increased and numbers of disciples were multiplied. You shall be witnesses unto me both in Jerusalem and in all Judea and Samaria and unto the uttermost part of the world. 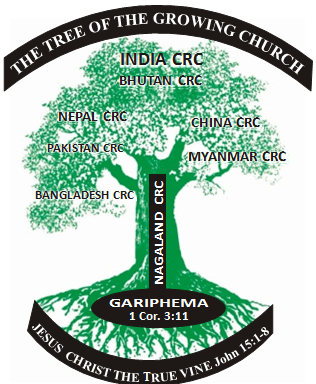 The Nagaland Christian Revival Church was formed Intrinsically based on the Biblical Foundation under the power of God with mighty Revival Tide of the Holy Spirit and now rapidly growing on the Foundation of the word of the unshakable Truth. It was the fulfillment of the Promises of the Holy Scriptures according to Acts 3:39 that a great and wonderful outpouring of the Holy Spirit came upon the people of Nagaland. And according to the will of the Lord Jesus Christ, this Nagaland Christian Revival Church was born on the 9th January 1962 at the beautiful Village of Gariphema in Nagaland to be Separated from the Paganism for the Greater Harvest of Souls.